For more than 30 years the Bow River downstream of Calgary has been recognized as a world class trout fishery, principally as a result of the regulated flows from hydroelectric power plants upstream of Calgary. They provide a constant flow of cold water which allows for the growth of naturalized rainbow and brown trout populations. Up until 2003 the fishery was sustainable with proper regulatory constraints. More recently though, dramatic declines in the Bow River fishery have been documented. This 15-year fish decline corresponds with spring floods and low summer flows, high water temperatures, changes in nutrient content, increased fishing pressure, whirling disease, and changes to water management regulatory regimes. A recent University of Calgary study indicated that Bow River trout populations are in serious trouble. Data analysis showed that the rainbow trout population has declined by as much as 50% over a ten-year period from 2003 to 2013. Alberta Environment & Parks conducted a fish population survey in 2018 to add to the data pool. The preliminary results indicate that rainbow trout, brown trout, and whitefish populations have all continued to decline. The Bow River Trout Foundation believes the reasons for the decline in fish numbers are inadequately studied and documented. This decline is likely the result of the complex nature of the Bow River’s highly managed water supply, extreme environmental and climate events, watershed-wide habitat degradation, mortality from natural predators and angling pressure. Additionally human caused changes to water quality compound the complex cumulative effect of a basin-wide managed river. It is becoming increasingly evident that the impact of the Bow River hydro and irrigation water management protocols may well contribute significantly to the trout population declines, as well as the entire river aquatic ecosystem. But unfortunately, very little data is available to support or deny this opinion. 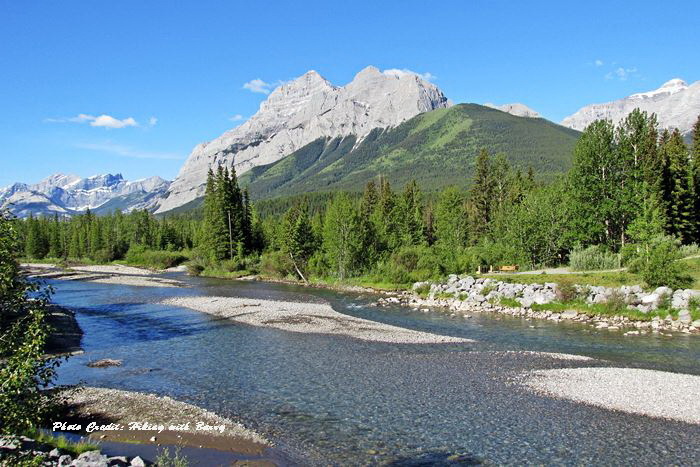 The document “The Impact of Bow River Water Management on Fish Populations” reviews current water management operational procedures and the available scientific evidence of the impact on the ecology of the river and their fisheries. It is hoped that further investigation will take place within government departments to define ways to protect the Bow River ecosystem and its fish. But in the meantime, TransAlta Corporation and the water regulators can play an important role to balance the Bow River flows to not only improve flood protection for the City of Calgary and drought relief to the farming community, but also protect the fishery. In July 2018, we were very pleased to see TransAlta’s Bow River Scheduling Department act to correct what we saw as extreme and unnecessary flow fluctuations. Within a month the river had stabilized, and its fish were returning to normal body condition and feeding behavior. We would like to see further consideration for the Bow River fishery during the Ghost Reservoir draw down and fill periods from April to July. Bow River Trout Foundation has delivered our document “The Impact of Bow River Water Management on Fish Population” to TransAlta, Alberta Environment & Parks and Bow River Basin Council executives who represent the primary water license holders for comment. It is our belief that Bow River Trout Foundation will not be able to move an agenda for improved water management policy alone and will therefore be working as an alliance of interested organization to address the ecological importance of the Bow River Basin with development of research and water management policy to protect and enhance sensitive fish population throughout the Bow River Basin. Our first research initiative,” Restoring Habitat and Climate Resilience for Threatened Trout in a Regulated River Using Traditional Ecological Knowledge and Western Science” has been submitted to the Canada Nature Fund for Aquatic Species at Risk (CNFASAR). The project will investigate the impact of hydropeaking on the Kananaskis River with an objective to reintroduce Westslope Cutthroat Trout into the watershed. The 4-year collaborative research project will guide future initiatives across the entire Bow River Basin to enhance not only native and wild fish populations but an ever increasing need for accessible sports fisheries. If the grant application is successful, funding will come from CNFASAR and local contributions.